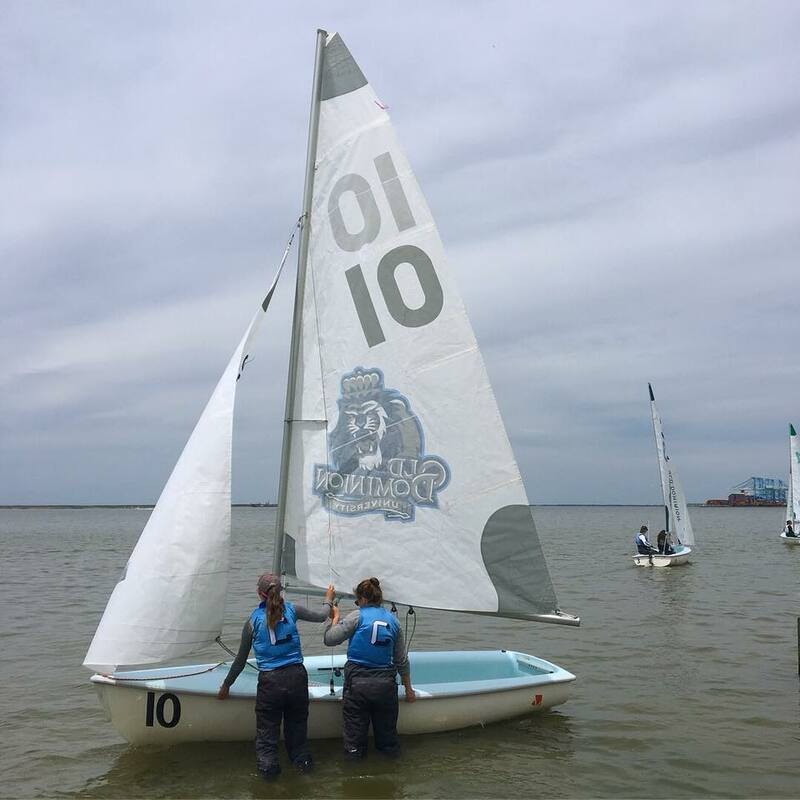 The women of CUST competed in challenging conditions at Old Dominion University this past weekend at the MAISA Conference Championships in sunny Norfolk, Virginia. With light, very shifty wind for both days, Saturday averaged around 4-7 knots, while Sunday racing was postponed until 1 pm, when an 8-15 knot breeze from the northeast allowed both divisions to finish three races. Against tough competition, Columbia sailed Elizabeth Keeney (BC ’19) and Liliana Loosbrock (BC ’21) in Division A and Isa de la Torre (CC ’20) and Antonia Leggett (CC ’19) in Division B, with Kyelee Fitts (CC ’20) as alternate. With Divisions A and B coming in eleventh and tenth, respectively, Columbia ended the weekend at eleventh overall—only two places shy of qualifying for the National Championships at Sperry College. Congratulations to the women of CUST for their hard work at the regatta and wish the whole team well at the American Trophy next weekend!